The balance of the petrol price stabilisation fund at Việt Nam National Petroleum Group (Petrolimex) was VNĐ1.72 trillion (US$73.8 million) as of Friday, the group said. As Vietnam’s capital Hanoi prepares to host the second US-North Korea summit later this month, experts say North Korea may be gearing up to study Vietnam’s model of economic development which started with the “doi moi” policy of opening its market in the late 1980s. Vietnam has called on countries to continue making active and practical contributions to the maintenance of peace and stability as well as respect and implement relevant international legal obligations on territorial waters and oceans, according to Vietnam’s Ministry of Foreign Affairs spokesperson Le Thi Thu Hang. 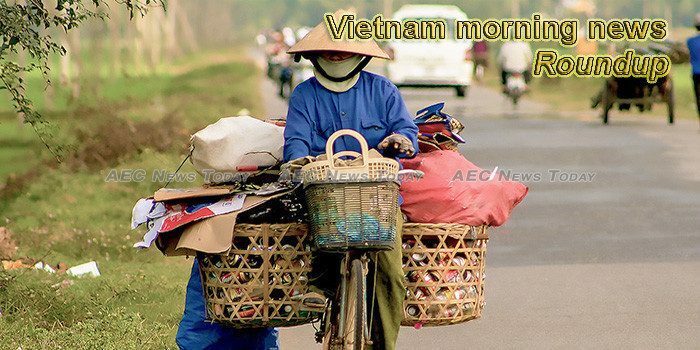 A Vietnamese child with full access to education and health service, by the time of maturity, would have a labor productivity at 67%, which is in equal to China and second in Southeast Asia, only behind Singapore. Viet Nam will officially measure the non-observed economy in 2020 to take stock of economic activity taking place unlawfully or at an unregistered household level, under a project recently approved by Prime Minister Nguyen Xuan Phuc. The Federal Aviation Administration announced Thursday that Vietnam had improved international standards for aviation safety and would be allowed to fly to the United States. The central province of Quang Nam has introduced the first hi-tech shrimp farming projects in Thang Binh District’s Coastal Binh Hai Commune on 6.5 hectares with a total investment of VND33 billion (US$1.5 million). Danang, the biggest city on Central Coast of Vietnam has just released a list of 17 property projects, where foreigners can buy a house. Minister of Planning and Investment Nguyen Chi Dung talks to Vietnam News Agency on the Government’s resolve to help private enterprises become a mainstay in the national economy. Vietnamese airlines will be able to fly to the United States and codeshare with American carriers after the US Federal Aviation Administration declared the Southeast Asian country complies with international safety standards. Pham Nhat Vuong is the first Vietnamese to enter the list of the world’s 200 wealthiest people. Vietnam’s real estate market saw lots of noticeable developments in three major cities in 2018, Savills Vietnam experts have said in a recent market update. In 2018, the Vietnamese agro-forestry-fishery sector weathered all difficulties to hit a seven-year growth record. Minister of Agriculture and Rural Development Nguyen Xuan Cuong talked with VIR about the key reasons behind this impressive achievement, with an increase in overseas investment, and opportunities from new-generation free trade agreements. Last year saw great interest among international companies in Vietnam’s transport sector. However, regulatory barriers continue to hinder their next steps. Minister of Transport Nguyen Van The discussed with VIR strategies to garner private funding in the sector and the opportunities for foreign investors in 2019. The 600 MW Thai Binh 1 Thermal Power Plant officially opened Thursday in the northern province of Thai Binh. A massive haul of nearly 300kg of methamphetamine pills was seized in central Vietnam on Sunday (Feb 17), police said, the latest major drug bust in a country where the use of synthetic narcotics is on the rise. The Mekong Delta province of Tra Vinh is resolved to revoke licences of delayed projects, while rolling out new measures to attract more investment in the locality. The total assets of Vietnam’s banking sector reached VND10,824 trillion (US$465.85 billion) as of November 30, 2018, up 8.23% compared to the beginning of the year, according to the latest report of the State Bank of Vietnam (SBV).